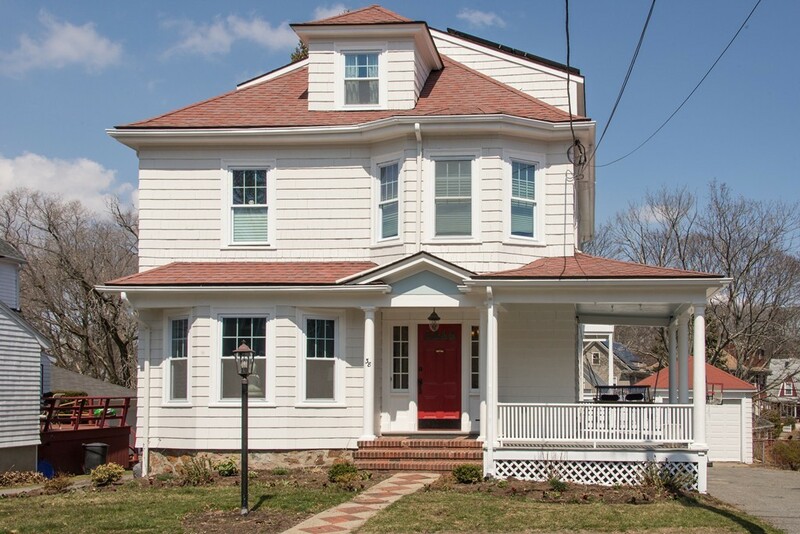 Located in the much sought after OLMSTEAD HISTORIC DISTRICT- NEAR BEACH/TOWN CENTER/TRAIN - this large gracious home offers up to six bedrooms/4 full bathrooms on three floors. From the moment you enter the room-size foyer you will admire the high ceilings, comfortable room sizes and natural lightness from multiple windows. Many original details remain along with recently completed major renovations including: opening of first floor rooms and redesign of entire second floor, new designer bathrooms, plumbing, electrical, lighting, flooring, woodwork, interior and exterior painting. Central air on top 2 floors, master with walk in closet/bath, 1st floor family room, 2nd floor laundry, 2nd floor playroom, expansive rear deck, outside shower, large driveway and garage. Interact with your neighbors from the classic front porch or organize a ball game in the big back yard.